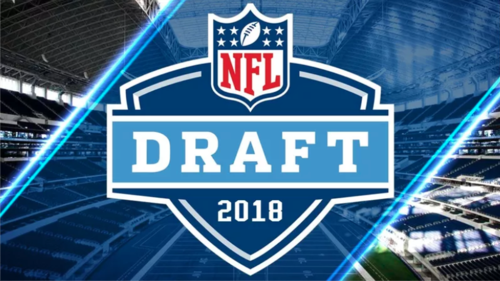 The 2018 NFL Draft is coming up and all of the top sports outlets are making their mock drafts and predicting who teams will pick. The combine revealed who can perform on the field and live up to their stats and who is just all stats and no show on the field. Let’s dive into the top standouts from this year’s draft class and a few under the radar guys. You’ve heard his name a thousand times on ESPN already, but there is a reason for that. Barkley is easily the best athlete in the draft this year and as good of a running back in the entire draft class on top of that. He stacked up huge numbers during his time at Penn State and was in the Heisman race for a long time. Barkley is projected to go in the first round and after seeing his combine results… that is a very accurate projection. He put up 29 reps on the bench press and a time of 4.40 in the 40 yard dash, Barkley combines strength and speed as the model running back that would make any NFL coach drool. Another big star in the combine, Mayfield is the Heisman winner and passed for over 4,000 yards during his senior year at Oklahoma. 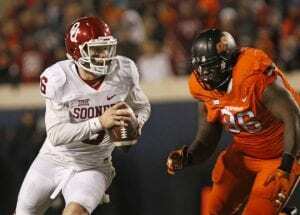 He went from a walk on at Texas Tech, to walk on at Oklahoma, to starting quarterback and lead Oklahoma to back to back College Football Playoff appearances. At the combine, Mayfield’s athleticism did not show up with his numbers, but his on the field performances were outstanding. He showed off his arm strength and ability to extend plays beyond the pocket that analysts have been raving about all season. Mayfield’s work ethic as well as his enthusiasm is what has boosted him into a top five draft pick and a person who teams want as the leader on their team. Coming into the combine, Allen had a lot of doubts surrounding his ability. At the beginning of the regular season, he was hyped up as a huge deal. As the season unfolded, his accuracy was questioned and he slowly fell off of the top talked about quarterbacks. He shattered all of these doubts once he stepped onto the field. Allen had the top 40 time and vertical jump among the quarterbacks and on the field he showed off his incredible arm strength by throwing 70 yard passes to his receivers and making it look like nothing. He proved he is a first round talent and can compete with some of the best in college football. Now, there are always stand out performers at the combine, but some sports outlets always fail to mention these guys who go under the radar and are equally as skilled as some of the top performers. Going into the combine, Avery was looked at as a fifth or sixth round prospect, but after analyzing his film and combine results, he has proven he is an elite linebacker. 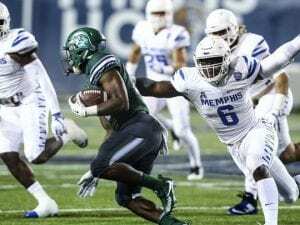 Avery racked up 80 total tackles his senior year at Memphis and averaged 8.5 sacks. He has been regarded as a “steal” in this draft for whoever drafts him. the former Tiger is clearly underrated and has proved he is more than a just some fifth or sixth round draft pick. Granted, no one knew his name until the senior bowl, Lauletta has put together a pretty impressive performance. 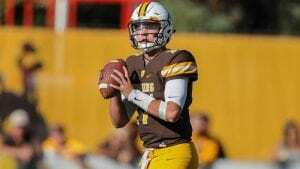 He gained attention when he was named MVP of the senior bowl, which is impressive when he was up against big names like Baker Mayfield and Josh Allen. Lauletta threw for 28 touchdowns his senior season and threw for 3,737 yards. He has the mental and physical build to be an elite NFL quarterback. With the right veteran mentoring him in the NFL, he can be a steal in this year’s draft. There’s a reason he is already being compared to Jimmy Garoppolo. These are some of the big names in the draft and some of the guys who go unnoticed and are worthy of as much, maybe even more, attention than the big stars in this draft class.